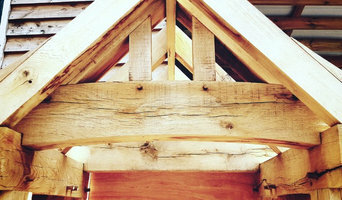 Oakfield Beams & Framing Ltd are suppliers of the highest quality oak beams, products and oak framing solutions across the UK With a vast amount of experience in the oak trade, we pride ourselves on being able to deliver a friendly service, coupled with a professional business attitude and an expert opinion. 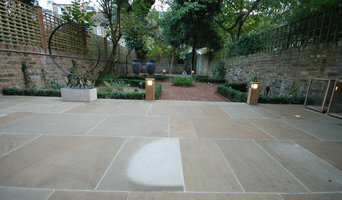 Yorkstone supplies provides a professional bespoke stone supply service through out the UK. All our stone is sourced, quarried and reclaimed around the Yorkshire area. 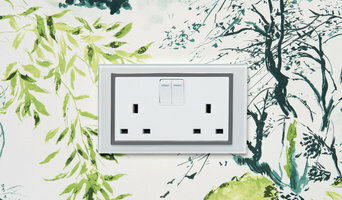 We sell Socket and Switches in a Crystal range,Simplicty and Boutique for hotels they are unique design of switches and sockets which combine latest technology and stylish look. They all have screwless covers for style and easy decoration and changeable front covers so to change a colour scheme easily. Parker Building Supplies is the leading independent and multiple National Award winning Timber and Heavyside Builders' Merchant based in the South East, supplying both the retail and trade sectors. As a result of a strategic expansion and acquisition programme over the last few years, the company now employs in excess of 240 members of staff at 24 locations across the region. Easy Ceiling Technologies is a stretch ceiling installer, supplier and manufacturer. We have total control over all aspects of our product and service so we can promise a high quality ceiling, rapid installation and the best prices in the UK. Traditional Oak & Timber Company was established by Neil Peskett in 1990 to meet the growing demands to supply quality reclaimed and air-dried oak beams to the construction industry and directly to the consumer. We have one of the largest stocks of oak beams in England, which can be used for construction, renovation and bespoke furniture making. We also have a vast stock of air dried oak beams, reclaimed oak flooring, and oak fireplace mantels . At JMD we aim to save you money by offering great discounts on all your building materials. We can supply a huge range of products at fantastic prices because we deal direct with wholesalers and specialist product manufacturers throughout the country, this allows us to use our buying power to negotiate great discounts that we can then pass on to our customers. Every member of our professional sales team have worked in the Builders Merchants industry for many years, they are on hand six days a week to help with product selection and to offer advice and information about the huge range of building materials we supply. 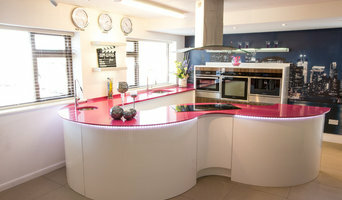 We are an independent building & roofing materials supplier with dedicated bathroom and kitchen showrooms so we can supply everything from the foundations to the kitchen sink. Chandlers Building Supplies has branches across the South East of England. We offer over 20,000 individual product lines to meet the needs of all construction and refurbishment projects, large or small. Whether you require drainage fittings, or chimney pots, wood screws or concrete floor beams, we hold large stocks of all everyday building products available for delivery or collection. We have a substantial fleet of delivery vehicles ranging from crane-off load brick lorries down to small vans and pick-ups, so we are confident we can meet almost all of our customers' delivery requirements.As well as our specialist building supplies branches, we have 5 specialist roofing supplies branches in Halesowen, Coventry, Rainham, Harrow and Scrubs Lane, London. Online & Store located in France, started selling furniture & flooring now expanding to include kitchens, bathrooms & all building products. Searching for new suppliers. New website under construction, awaiting all new suppliers product discriptions & photo's. Why should I use Brighton, East Sussex building merchants and timber suppliers? 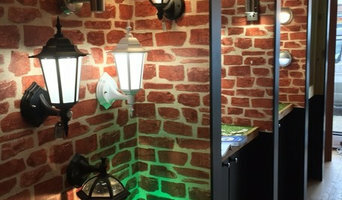 If you want to leave the building material selection to your hired contractor, architect or designer, then you probably won’t need to talk to Brighton, East Sussex builders’ merchants, but it is a good idea to do so if you plan to be more hands on with your project. Timber merchants will be able to supply you with any wood materials you need for flooring, kitchen worktops, skirting boards, doors and more. The type of timber they can supply may depend on the supplier, but most will sell varieties of hardwood, plywood and softwood; suitable for a range of uses. If you’re after reclaimed building materials for a lived-in, vintage look, then plenty of timber merchants in Brighton, East Sussex now offer reclaimed, salvaged or recycled wood for you to use as floorboards or wall cladding. If it all seems a bit overwhelming, Brighton, East Sussex building merchants will be able to advise you on the advantages of choosing certain materials. Or, you can rely on building contractors, architects and designers that may be working on your house project with you to advise or select your building materials for you. Here are some related professionals and vendors to complement the work of building supplies: Specialist Contractors, Landscape Contractors, Home Builders, Main Contractors, Design & Build. Find timber and building supplies on Houzz. Narrow your search for Brighton, East Sussex timber merchants and builders merchants’ by selecting the nearest city or postcode. Find trusted building merchants and building suppliers in Brighton, East Sussex with reviews from residential builders, interior designers and homeowners.